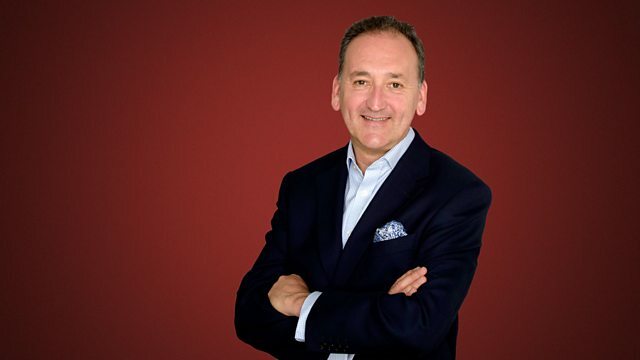 Ian Skelly with Essential Classics - the best in classical music, including a folk-inspired quartet by EJ Moeran, Elgar's entrancing Serenade for Strings and a brilliant triumphal march from Berlioz's last symphonic work, his Grande symphonie funèbre et triomphale. 0930 Your ideas for companion pieces on the Essential Classics playlist to sit alongside Wagner's Tannhauser Overture. 1010 Time Traveller - A quirky slice of cultural history. Bob Nicholson on Victorian humour and Professor Anderson's 'Great Conundrum Night'. Haydn: Piano Trios, HOB. XV:14, 18, 21, 26 & 31. Singer: Emma Kirkby. Ensemble: London Baroque. Performer: Joshua Bell. Performer: Steven Isserlis. Orchestra: Academy of St Martin in the Fields. Singer: Benjamin Appl. Orchestra: Concerto Köln. Performer: Judith Herbert. Performer: Diana Ambache. Beach: Violin Sonata Etc. - Ambache. Performer: Gerd Seifert. Performer: Manfred Klier. Performer: Rainer Zepperitz. Ensemble: Amadeus Quartet. Music Arranger: Nico Muhly. Orchestra: Aurora Orchestra. Conductor: Nicholas Collon. Conductor: Leif Segerstam. Orchestra: DR SymfoniOrkestret. Sibelius: Symphony no.5&7: Danish National Radio Symphony Orchestra/Segerstam. Chopin: Murray Perahia plays Chopin. Ensemble: I Tempi. Conductor: Gevorg Gharabekyan. Glazunov: Symphonies Nos. 5 and 7. Trio Zimmermann plays Mozart’s Divertimento. Performer: Wolfgang Schulz. Performer: Wolfram Christ. Performer: Margit-Anna Süß. Ensemble: Ensemble Wien-Berlin. Choir: London Symphony Chorus. Orchestra: London Symphony Orchestra. Conductor: Colin Davis.